To the road or the street, and doing so with some of the best new tech in the helmet game. 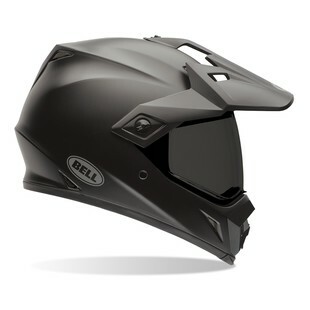 That is what the Bell MX-9 Adventure MIPS Helmet is all about. Based off of the popular MX-9 Adventure blueprint, the new MIPS edition comes to the Fall of 2016 with the added benefit of Multi-Directional Impact Protection. The MIPS system places a low-friction material layer in between the EPS and the outer shell. In the event of a crash, this layer works to reduce the amount of force that makes its way to the rider’s skull. That, added to a helmet that was already DOT and ECE certified for safety, only serves to augment the high-value, feature-rich nature of the MX-9 Adventure blueprint. Doing one thing well it tough. Doing two things well is quite a bit tougher. Doing two thing well, and then improving on it, is what makes a champion. Thus has been the trajectory of the Bell MX-9 Adventure MIPS helmet as it sets itself up for continual success in the future.